Alumna Morgan Viehman received a full-ride scholarship to GW, which she said made going to college possible despite a difficult financial situation. The University raised $35 million for the Power and Promise fund last fiscal year, double the year before. Updated: Oct. 27, 2014 at 9:56 p.m.
After junior William Murphy received his financial aid offer from the University, he realized he might need to attend a community college instead. GW’s cost of attendance would have overburdened his family, he said, which was already paying his mother’s medical bills. But then he received an engineering scholarship of as much as $6,000 a year from Board of Trustees Chair Nelson Carbonell, which was able to “fill the gap” he needed to pay. Now he runs a cancer research project at GW and is studying biomedical engineering. Murphy is one of dozens of students who received donor-funded need and merit-based scholarships through the University’s signature Power and Promise Fund last year. As GW’s sticker price has risen to more than $60,000, officials rely on those donor-funded gifts to stretch its financial aid pool and reach more students. More than $35 million was raised last fiscal year, more than double the amount raised the previous year. The program has grown each year since it started in 2009, bringing in a total of more than $100 million. That growth comes as GW has focused on increasing the number of scholarships it can offer students as part of its $1 billion fundraising campaign. The University has set a $200 million goal for student aid as part of that effort. 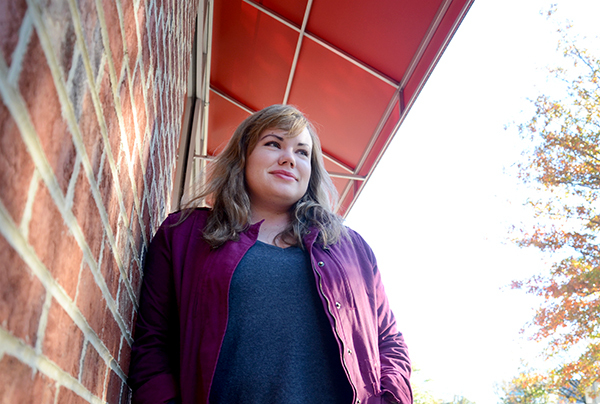 For alumna Morgan Viehman, the “best day of her life” was when she learned she had been picked for a full-tuition scholarship to GW, which helped her pursue a journalism degree. Viehman’s parents’ divorce and her mother’s diagnosis with stage-four breast, ovarian and lymph node cancer put a major strain on her family’s finances. Scholarships are some of the easiest areas for fundraising because donors feel connected to the students they help, said Arthur Criscillis, a managing partner at the fundraising firm Alexander-Haas. Many of the students meet their donor at a Power and Promise dinner that GW hosts every spring. Criscillis said those events not only bring together students and the source of their scholarships, but can also encourage donors to give more in the future. “In almost every instance, donors want that. Don’t you like the idea of ‘Oh, look who I helped?’” he said. Of the more than 22,000 donors who gave $13.5 million in annual gifts last year, about 35 percent went to student support. About two-thirds of undergraduates receive need or merit-based assistance from GW. Donor-funded scholarships make up just a portion of the University’s total financial aid pool. GW’s total undergraduate financial aid pool, which topped $170 million last spring, is approved by the Board of Trustees each year. GW receives thousands of gifts for student aid every year. Overall, University funding for student aid has increased from $118 million in 2008, before the Power and Promise Fund launched. Brenda Estefania Ortiz Calva, a second-year graduate student, received a full scholarship and $3,000 monthly stipend through the Carlos Slim Scholars fund last year. Slim, the telecom billionaire who received an honorary degree from GW in 2012, created the fund to award the top Mexican graduate students studying business, engineering or international affairs. She said the program, which requires recipients to have summer internships, has helped her learn “10 times more” than what she would learn in classes alone. Colleen Murphy and Ellie Smith contributed reporting. Due to an editing error, The Hatchet incorrectly reported that Morgan Viehman had received a full-ride scholarship to GW. She actually received a full-tuition scholarship. We regret this error.